One of the hardest parts about getting older is losing your independence. Once you reach your golden years, you will have to learn to rely more and more on other people just to do the simplest things like getting dressed. This can have a huge impact on your dignity and your self-esteem. It does not feel good to have to rely on someone else just for these basic things! Although, there is a way to restore your independence! This way is through the help of an assisted living facility in Benchmark Court Swansea IL such as Bradford Place! 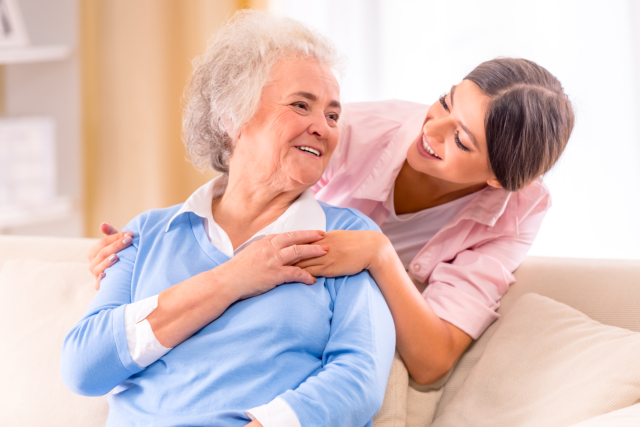 It may seem counter-intuitive to go to an assisted living facility when you simply want to find your independence again, but you will be surprised just how beneficial this service can actually be! The first thing you may notice at Bradford Place is our accommodations. We offer spacious rooms equipped with everything and anything you could ever want. Plus we have around the clock services as well. At first, you may need the help of our professional staff to do the basics, but eventually, with our help and support, you will find the strength to do it on your own once again. How is this possible? Even when you are in your golden years, you can still rely on yourself to get things done! We have many services, programs, and methods that we can use to ensure your quality of life is being improved and to make sure you are able to find your independence once again! The simplest method we have is through exercise. You will be surprised of how effective this can be! There are people well into their nineties and even people who are a hundred years old, living life like they are young. This is because of regular exercise! So when you come to Bradford Place, you can finally stop stressing out about how you are going to take a shower or how you are going to put on your clothes. We will help you out with this, so you can focus on the more important things in life! If you want to learn more about our services and how we can help you get back on your feet, feel free to visit our website anytime at bradfordseniors.com. Also, if you have any questions that you would like to ask us, please give us a call today at 618-624-0683. We are more than happy to answer all of your questions.